Dr. Barasch graduated the medical school from the University of California Irvine School of Medicine and completed his residency program at the University of Southern California. He is specialized in Pathology and board certified in Anatomic Pathology & Clinical Pathology. 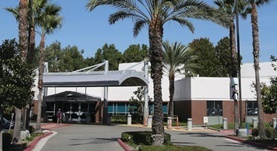 Dr. Barasch has been in practice for more than 20 years and is affiliated with the Fountain Valley Regional Medical Center. During his career, he has also contributed to 2 publications of medical interest. Dr. Sheldon Barasch has contributed to 2 publications. Low-level lead exposure and cognitive development in early childhood. Mendelsohn, A. L., Dreyer, B. P., Fierman, A. H., Rosen, C. M., Legano, L. A., Kruger, H. A., Lim, S. W., Barasch, S., Au, L., Courtlandt, C. D.; J Dev Behav Pediatr. 1999 Dec.
Hypercapnia during cyclopropane anesthesia: a case report. Barasch, S. T., Booth, S., Modell, J. H.; Anesth Analg. 1976 May 01.